Birth order doesn't affect personality, but it does set certain siblings up for more success, research has found. 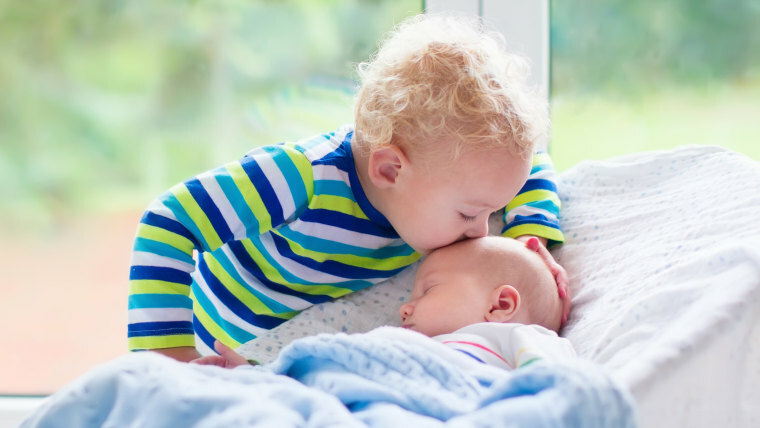 Birth order lends itself to all kinds of stereotypes: The youngest is the "baby" of the family, while the middle child is generally thought to be neglected or ignored. And the oldest is the wisest — a stereotype that might actually be accurate. Research has found firstborn children are set up for more academic and intellectual success. The advantage begins startlingly early — with firstborn babies and toddlers already scoring better on cognitive tests than their younger siblings at the same age — and it's likely due to “a broad shift in parenting,” according to a study published in the Journal of Human Resources. The findings are based on the Children of the National Longitudinal Survey of the Youth, which included information on thousands of Americans 14-21 years old, who were first interviewed in 1979 and regularly re-interviewed since then. The data provided information on employment, income, education and other background information. Some of the participants' children were regularly interviewed, revealing birth outcomes, early childhood health, test scores, home environment and other details. “We were surprised by the finding that birth order differences in cognitive test scores and parental behavior appeared so early,” co-author Jee-Yeon K. Lehmann, an economist at the Analysis Group in Boston, told TODAY. Parents give the same amount of love and care to all their children, but firstborns get the most mental stimulation, with families unable to keep up that level for subsequent kids, the study found. Parents spend less time reading to their later-born children and teaching them basic concepts, like the alphabet. They’re also less likely to provide engaging toys or activities. As families face greater limits on time, resources and attention with additional children, they adjust their attitudes about what may be possible and change their behavior, whether consciously or not, Lehmann noted. She and her colleagues found this had no impact on children’s temperament or personality, except that firstborns were more confident about themselves, particularly their academic performance. But there was a big effect on thinking skills, with later-born children performing worse on cognitive assessments from birth to age 14, with lasting impact into their adult years, the researchers found. “The lesson here for parents is that the types of investments that you make in your kids matter a lot, especially those that you make in the children’s first few years of life,” Lehmann said. Do parents or siblings hold more influence over a person? Researchers also looked at the behavior of expectant moms and found women were less likely to cut their alcohol intake with subsequent pregnancies. They also sought prenatal care later and were less likely to breastfeed than the first time they carried a child, suggesting “broad shifts in maternal attitudes and investments towards the first child and their later-born children,” the study noted. Previous studies have found later-born children have lower IQs and make less money compared to their oldest siblings. They were also less likely to graduate from high school and completed fewer years of education. They were more likely to become teenage moms or be convicted of a crime. Researchers did find some advantages for later-born kids: They tended to be healthier at birth, Lehmann said. Follow A. Pawlowski on Facebook, Instagram and Twitter.